Now, there are two main reasons for networking. The first one is finding the ideal job position, this is called career networking. It usually involves using personal, professional, academic or familial contacts to assist with a job search or with achieving certain career goals that you have set for yourself. The second type of networking has to do with expanding your business and finding new potential partners and customers. In order to achieve success in both types of networking, you need a certain set of skills and some essential background knowledge. And it is exactly what we’ll cover in this article. So, continue reading and find out how you can easily master the art of networking. One of the most important aspects of networking is how others perceive you. You needs to seem both professional and likable, and this is not an easy balance to achieve. So before you go to a networking event decide what type of persona you want to project. But remember, the most important part is your actual knowledge of your area of expertise. You can count on the fact that you will be surrounded by peers who will ask you specific questions and expect a knowledgeable answer. Not knowing the right answer or saying the wrong one can have a negative impact on the way you are perceived, and it might deter some possible business partners or clients as you will seem unprofessional. The second rule of thumb, when it comes to networking, is that you need to learn to be a listener rather than a seller. In most cases, people are too eager, whether they are selling their product or their knowledge, they assume the role of a seller. This can have a negative effect on the people around you, and you might end up losing potential connections to the overexcitement. It is far smarter to be the designated listener. This means that you use the opportunity to get to know the people at the event and establish a relationship with them. In time they will tell you what they need, and then you can pitch your product or service, as a possible solution to their problem. This is probably the most important piece of advice you can get. You need to increase your chances for effective networking by opting to attend events or locations that have the highest attendance when it comes to people from the particular niche you’re interested in. For example, Australian entrepreneurs often opt for networking within their existing coworking space. This is a great option for them, as a popular coworking space in Melbourne can house a number of small companies that can collaborate on a daily basis, and such surroundings offer themselves for great networking opportunities. Another great option is job fairs. Whether your company has a booth there or you are looking for a job, job fairs bring a lot of professionals to the same location. You can find people from the same industry, read about their company and even discuss possible collaborations. Finally, there are the ever-popular conferences. Unlike job fairs and coworking spaces, these are far more industry based, and you will be surrounded by people from your field of expertise. This is a great opportunity for creating B2B partnerships as well as learning about the latest trends within the industry you are operating in. This might be the most important takeaway from this article. When networking you are creating relationships with future partners, clients or employers. And if you say you will contact them, or provide them with additional information regarding a topic you have discussed make sure you follow through. Whether or not they are expecting you to act on your words is irrelevant. Just by actually doing what you said you will, you are establishing trust, and telling them that they can count on you. And as you know trust is essential when it comes to creating long lasting business relationships. Especially because we live in a world where everything we say and do can be checked and verified. So making that first step in establishing a relationship based on trust is the essence of mastering networking. You are now ready to attend your first networking event. Make sure you consider all the steps listed in this article. 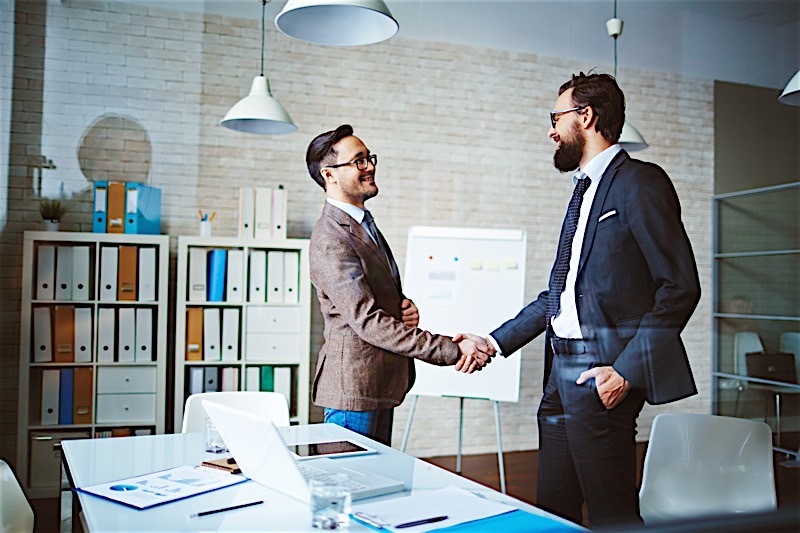 Regardless of the fact that we are turning to digital more and more in this modern world, there is little that can match a quality face-to-face interaction and building business relationships that are based on mutual understanding and trust. So there is no doubt that networking as a skill will be essential for forging partnerships in the entrepreneurial world for the years to come. So you better start working on yours straight away.